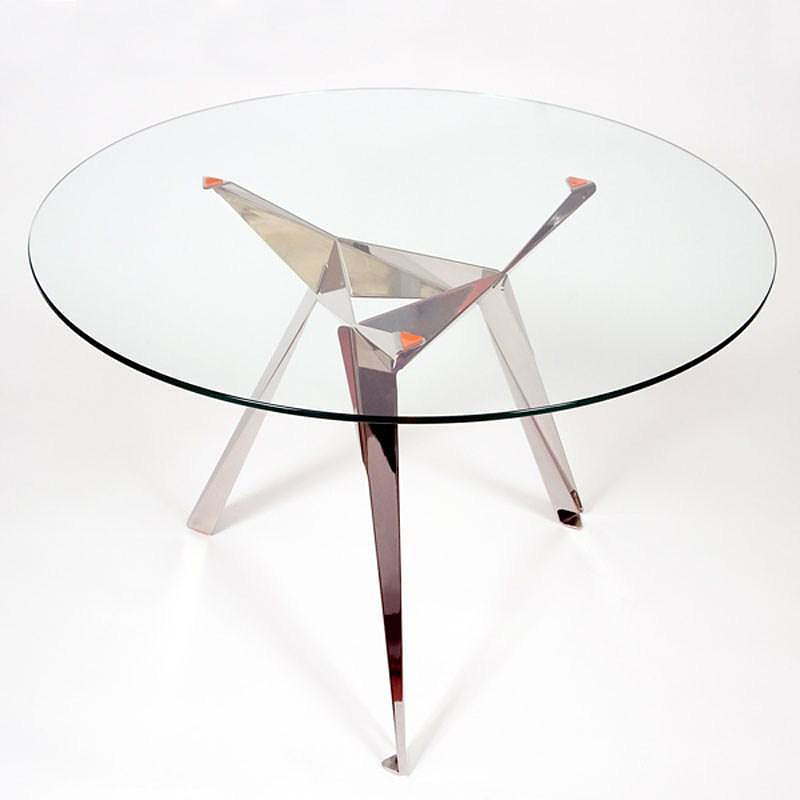 HomeBlogHome DecorInnermost Origami Table by Anthony Dickens. 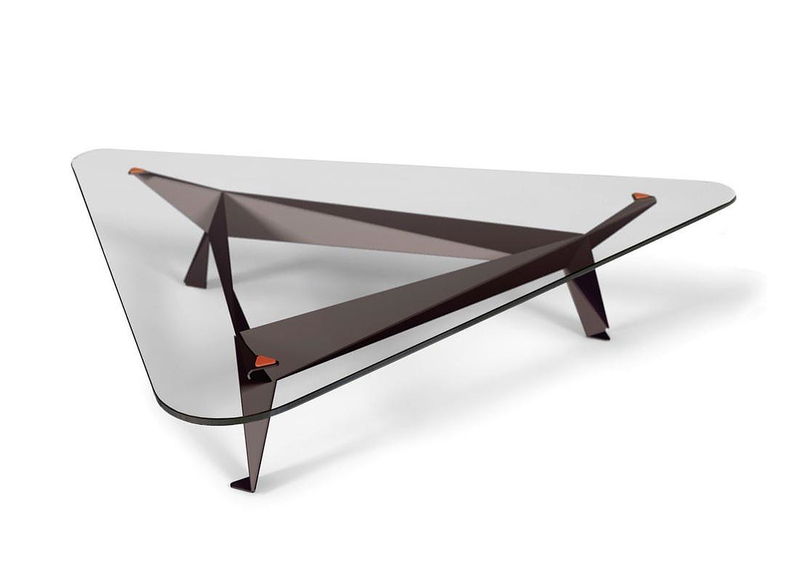 Designed by Anthony Dickens for Innermost, the stylish Origami table relies upon interlocking angular legs that resemble folded paper. 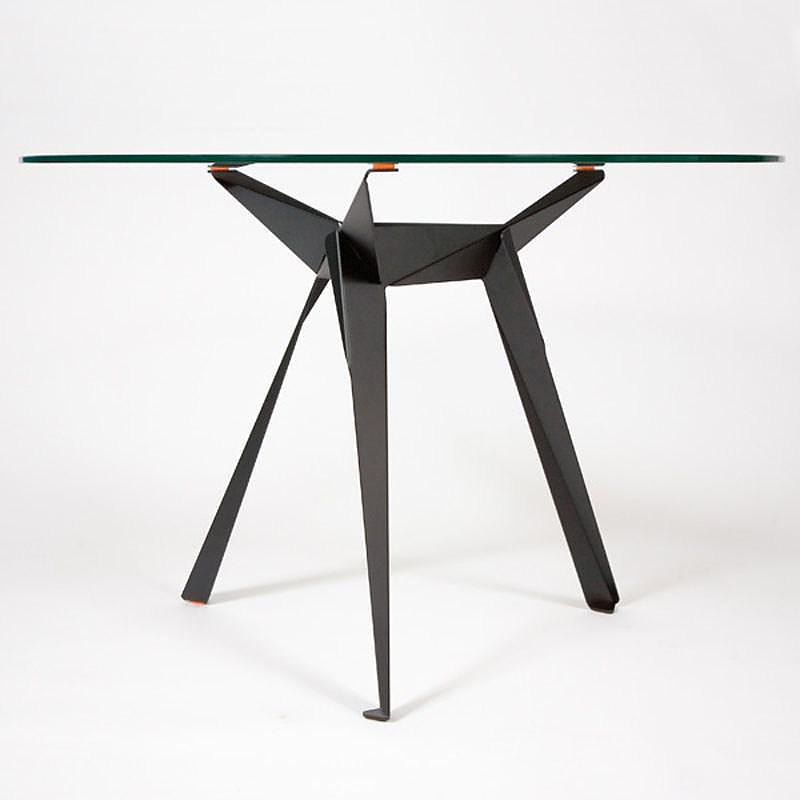 Dickens came up with a design of identical ﬂat-pressed steel legs that slot together to assemble the tripod base. 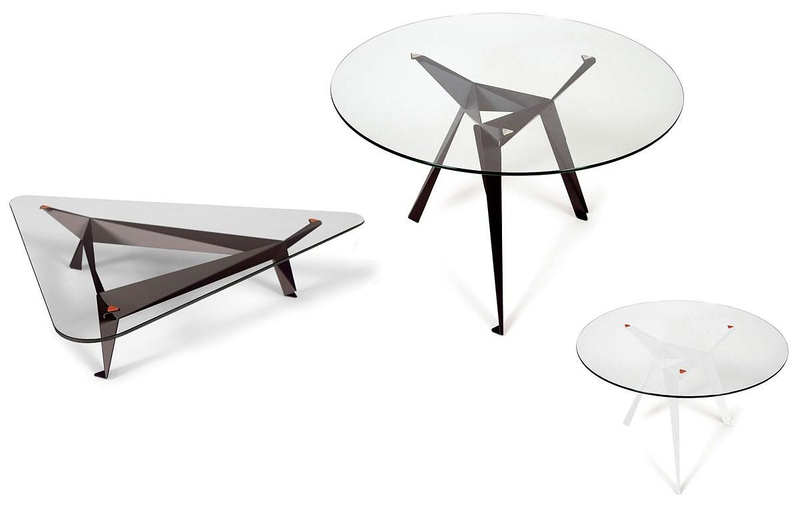 One beautiful detail are the uv-bonded metals pads, were the glass table rests. They come in pink, silver or orange color and they are visible beneath the glass, making a nice contradiction to the black or white legs. 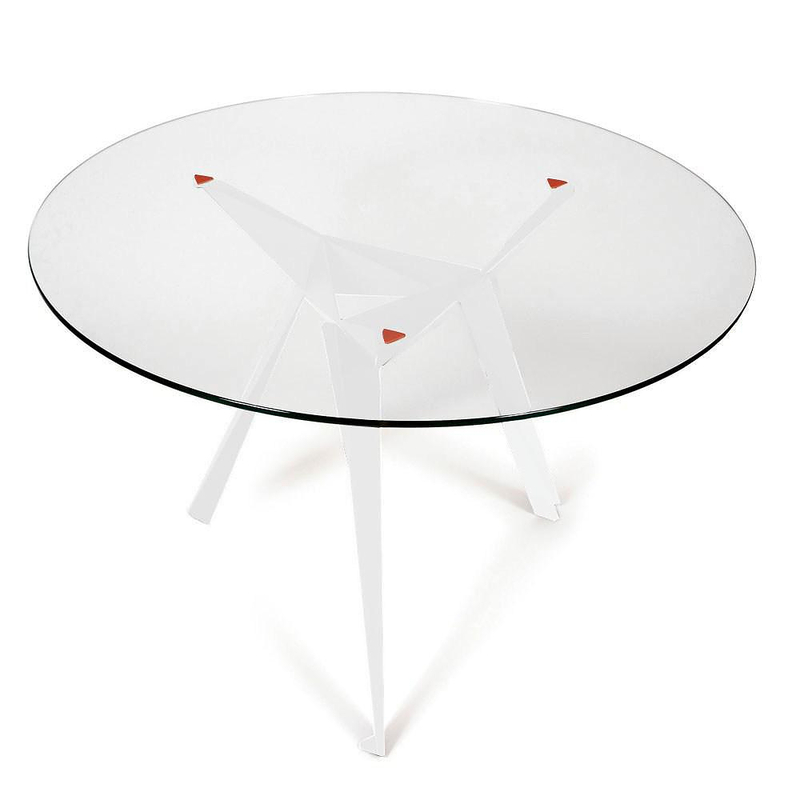 With its minimal form and its sturdy practical design this contemporary table is bound to be a design classic. 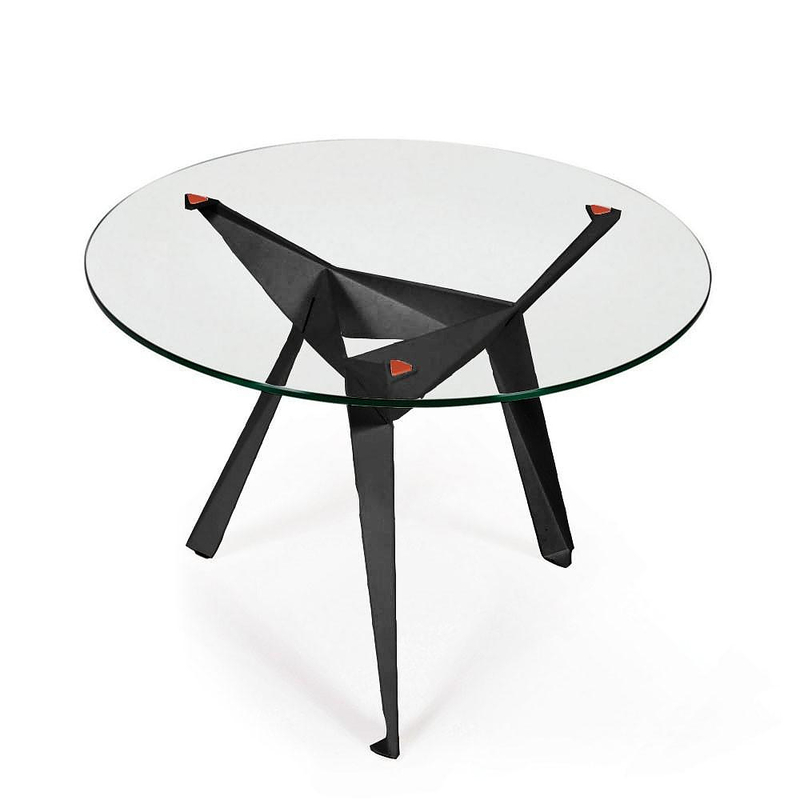 The Innermost Origami table comes in many different models suitable for a variety of applications. 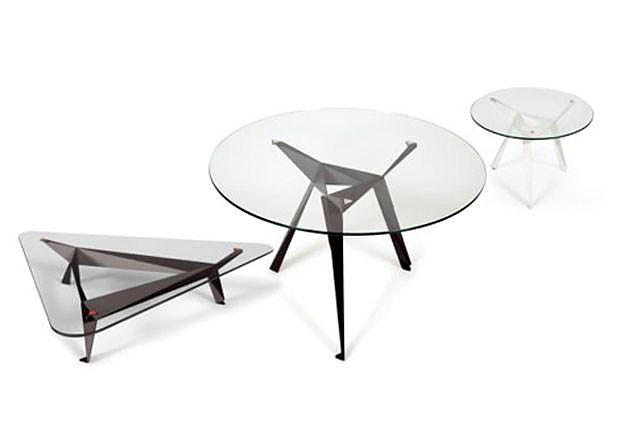 There a triangular coffee table (our favorite by the way), a round dining table, a small round side table, even a large 2,5 long rectangular dining table that rest on two bases. 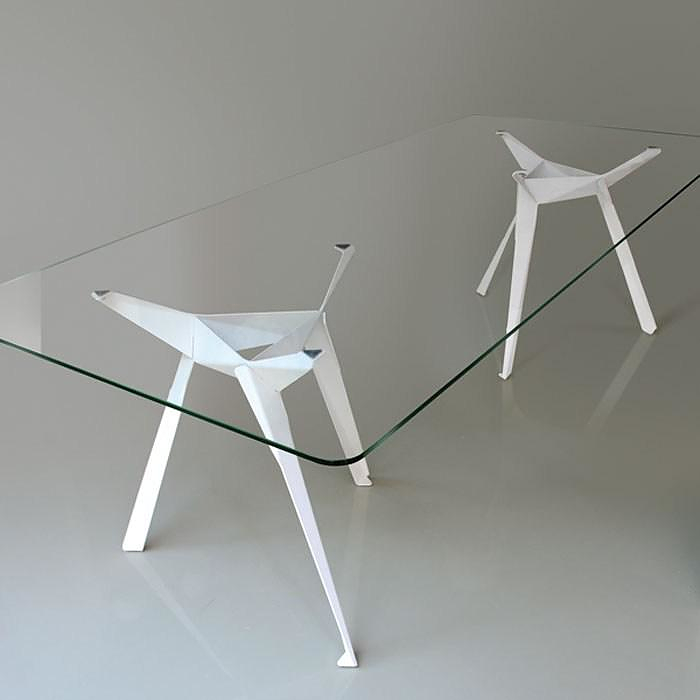 Due to the clever design the Origami table comes flat-packed for ease of transportation. 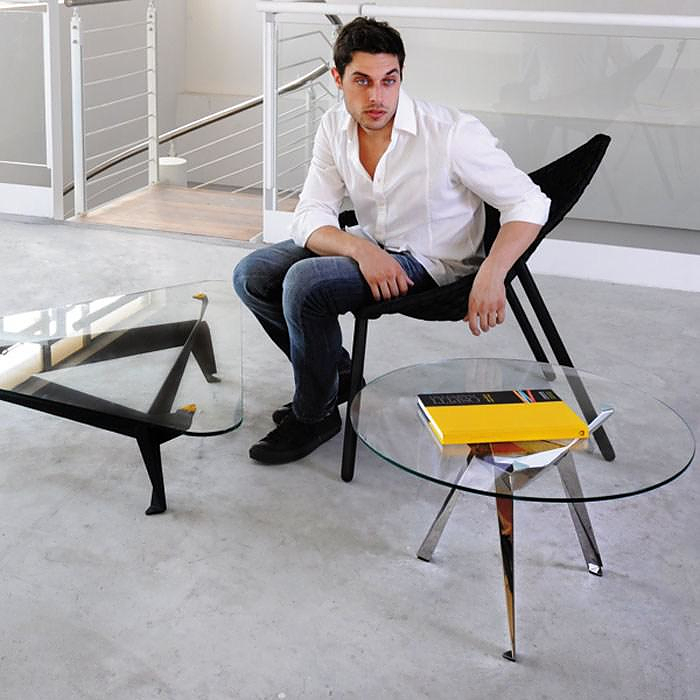 Amazingly there is no need for screws, bolts, fittings or tools to assemble the table. 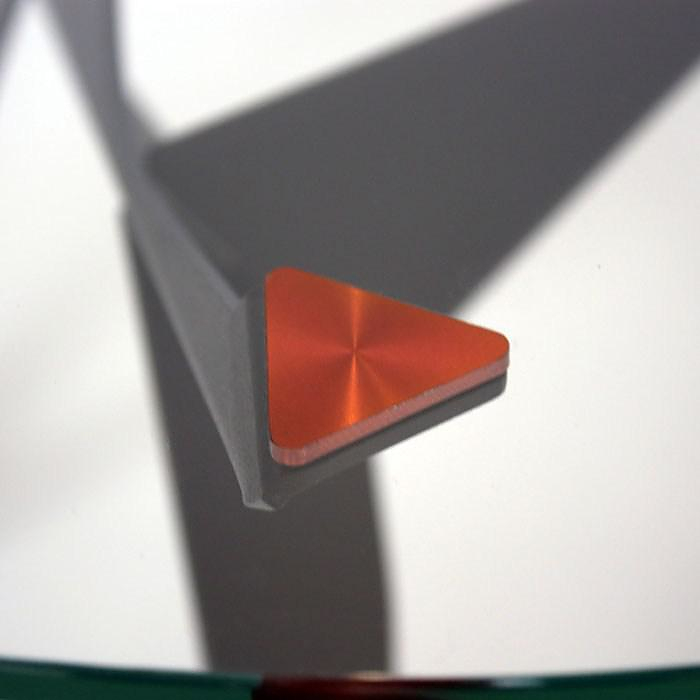 On each stainless steel leg there are two slots, each positioned on a different 3-point plane in space. Using these slots the legs are assembled and the joints tighten when the glass top is placed on the table, giving the table its full strength. 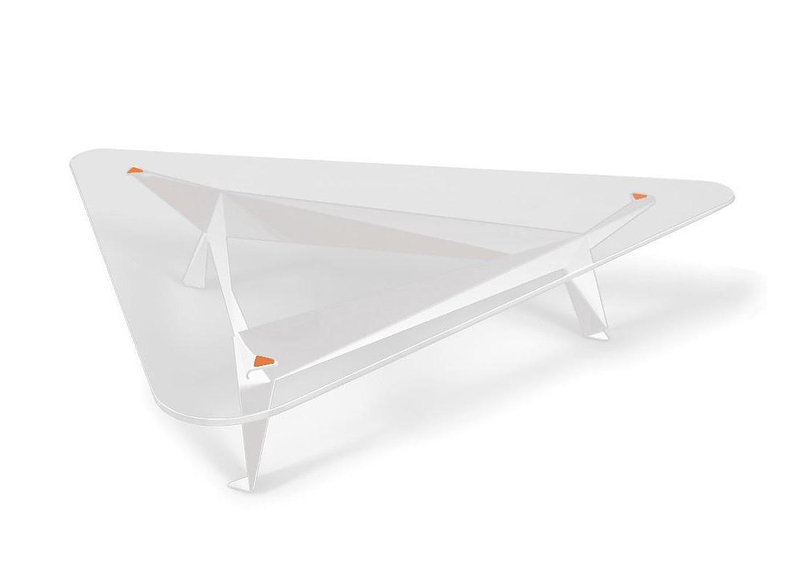 Finally if you are thinking that this minimal table would look awesome on your patio, you guessed it, the Origami table is suitable for outdoor use.